He threw punch after punch, and the fat barbarian laughed soaking up the blows like a gluttonous sponge. But no one could accuse the nimble rogue dodging vicious swipes as lacking a bulldog’s tenacity. Tiring, the brute slouched. Then a lightning jab knocked the laughter and teeth out of him. 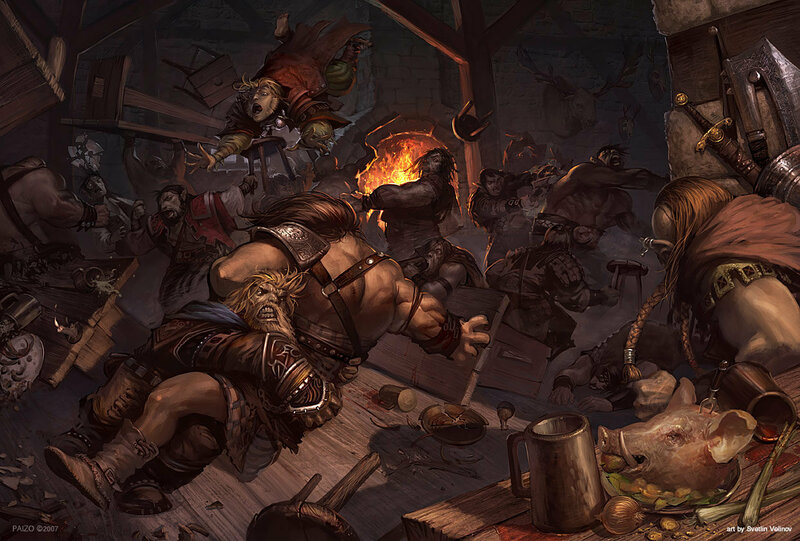 Tavern Brawl, by Svetlin Velinov. Click here for more of the artist’s work!